After the 1923 success of the24 hours of Le Mans in France, a similar race, the Spa 24 Hours was born. 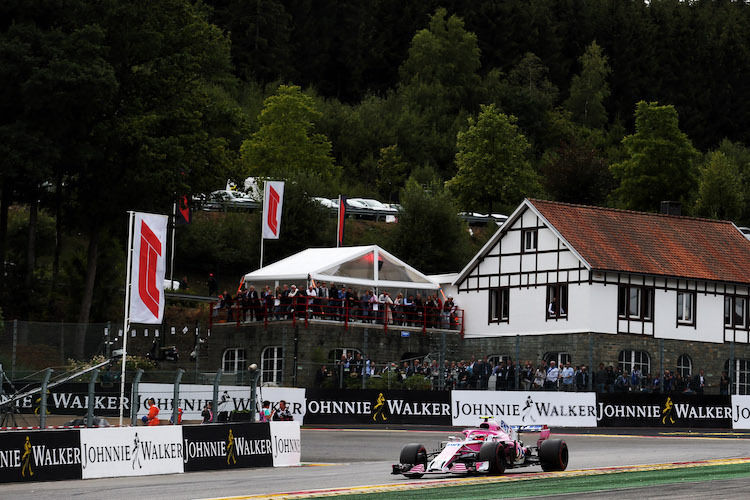 They used a circuit at Spa-Francorchamps that consisted of superfast public roads between the three towns of Francorchamps, Malmedy and Stavelot. In 1925 the first Belgian Grand Prix was held at the 9 mile circuit. Despite its large size there was only one tight corner and the high speeds made it a very dangerous circuit. There were no barriers around the track and drivers had to race through small villages with fences, telegraph poles, ditches and buildings. Many drivers lost their lives on the dangerous circuit. The circuit has been greatly modified over the years, including bypassing the Malmedy chicane and the following reinstallment of it in 1935, the introduction of the Eau Rouge corner in 1939, the bypassing of the Stavelot hairpin to make it into a fast banked corner and a general shortening of the circuit. After World War II broke out, there was no Belgian Grand Prix until 1946. Four years later in 1950,the first Formula One World Championship was held.In 1969, sparked by the deaths of many drivers over the years, Jackie Stewart visited the circuit on behalf of the Grand Prix Drivers’ Association and demanded many improvements to the track.Track owners did not want to pay for the safety improvements, causing the British, French and Italian teams to withdraw from the event, leading to its cancellation that year.One last race was held there in 1970, but Spa was still too fast and too dangerous, and in 1971 the Belgian Grand Prix was taken off of the Formula 1 calendar. The Belgians then decided to alternate their Grand Prix between a circuit at Zolder in northern Belgium and a circuit at Nivelles-Baulers near Brussels. The first race at Nivelles was held in 1972 and Zolder hosted the race the following year.In 1983 the Belgian Grand Prix returned to the the drastically rebuilt,revised and shortened Spa-Francorchamps circuit. Around two thirds of the lap used the original layout and the legendary Eau Rouge corner remained intact. Only the new chicane just before the finish line drew criticism. Zolder hosted the GP for the final time in 1984, before the Belgian F1 Grand Prix returned to Spa-Francorchamps In 1985, where it has remained ever since.Spa-Francorchamps has been shortened to 4.3 miles and the parts that swept past towns and other obstructions have been cut out. Germany’s driver Michael Schumacherhas won the Belgian Grand Prix more times than any other driver, winning a total of 6 times. 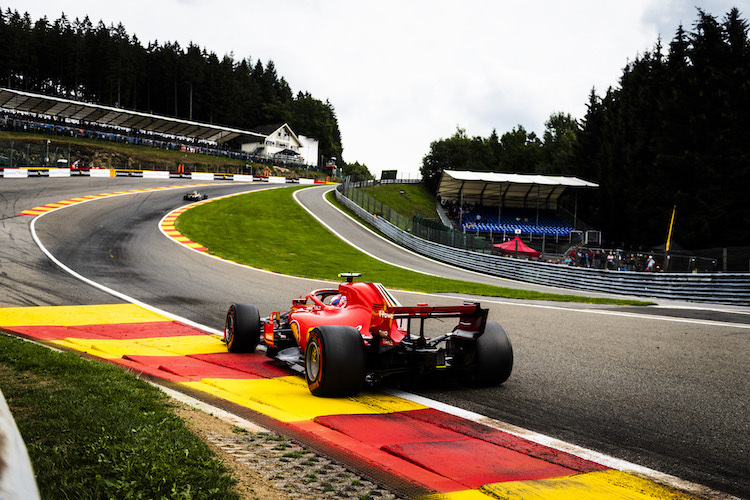 Ferrari has the most wins of the Belgian GP out of all of the teams, with a total of 16 wins. Sebastian Vettel holds the current lap record with a 1:47.263 that he achieved in 2009, according to the official Formula One website. 1986: Ayrton Senna and Nigel Mansell staged a race long battle that ended in Mansell’s favour. 1991: A young driver called Michael Schumacher made his debut for Jordan, qualifying a magnificent seventh. He could have won the race if not for a clutch problem at the start. 1998: Damon Hill scored Jordan’s first victory after a crash at the first start eliminated thirteen cars. 2004: Half the field were involved in incidents on the first lap and had to pit for repairs or retire. The crazy race had six different leaders but Kimi Räikkönen ended up beating the dominant 2004 Ferrari in a McLaren that was average for most of the year.